Fun Party Rentals, LLC located in Shorewood, WI is your number one Party Rental Company. Fun Party Rentals will provide you with bounce houses, inflatable slides or concessions rentals for all of your kid’s birthday parties or events. Bounce houses, colorful concession carts and other rental equipment will enhance the theme of your event. Our party rental equipment will make your party a memorable experience for everyone! Kids love cotton candy! 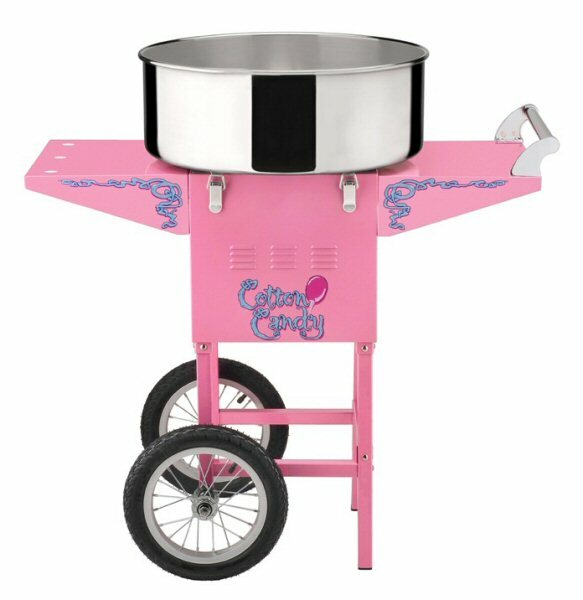 Rent a cotton candy machine for your kid’s party and it will be a sure hit. Learn more about our new cotton candy machines. Snow cones provide a sweet, refreshing cool down for the kids. 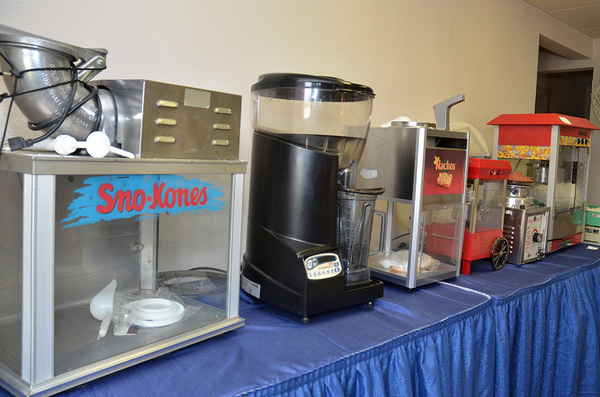 Rent a snow cone machine and get it delivered to your party in the Milwaukee, WI Area. Popcorn rentals are a classic concessions rental for any party. The large red cart will add to the ambiance of your party will providing your guest with a tasty snack. More on renting a popcorn maker in the Milwaukee, WI Area. Popcorn rentals are a classic concessions rental for any party. The large red cart will add to the ambiance of your party will providing your guest with a tasty snack. Open The Concessions Stands In Your Backyard! The Delivery Fee for the first 15 miles is included in price of your cotton candy machine, bounce house, snow cone machine, or popcorn maker rental. For deliveries beyond 15 miles, we charge $2 a mile to help cover the extra expense. Example: A 25 mile delivery is 25-15=10 X $2 = $20 delivery.